It's Monday and it is the beginning of December. That means it is time for a new book giveaway. I'm hosting giveaways all this month every Monday. Today's giveaway is a great one if you are a knitter. I have been wanting to share Circular Knitting Workshop: Essential Techniques to Master Knitting in the Round by Margaret Radcliffe for a while now. Never got to it until today! This fantastic, helpful, thorough tome of a book was published by Storey Publications in 2012 and they have sent me a review copy and will send the winner this book. Thank you Storey. Please excuse the poor quality photos guys - it was a gray day and the reflections from the lights were quite bad on the glossy paper. I wanted to get this giveaway up on Monday, as promised, and give you all plenty of time to enter. I used the word tome to describe Circular Knitting Workshop because it is. Dictionary.com describes a tome as a book, especially a very heavy, large, or learned book. And that it is - 310 pages of 8 1/2 x 11" paper with a soft cover. Margaret Radcliffe has written several books and they are always well-researched, thorough, and precise. Margaret does not gloss over any of the techniques she offers. Each technique is thoroughly taught and photographed so that you will be able to master them by following her words and the photos by John Polacek. Edited by my friend and editor Gwen Steege. 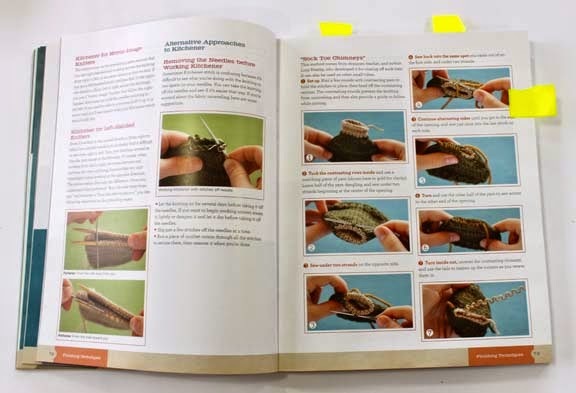 Circular Knitting Workshop begins with Cast On Techniques - 31 pages worth! Next up is how to Knit Circularly - including double points, one circular, two circulars, i-cord, and more. 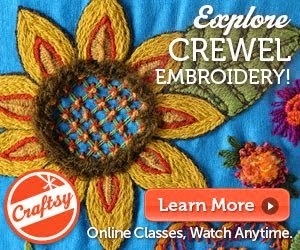 Next is Finishing Techniques - Cast Offs, Hemming, Seaming, Grafting, and more. Margaret then teaches you how to convert a "flat - back and forth" knitting pattern to an "in the round" version. This is invaluable help. Once you become a circular knitter, you frequently do not want to turn back to the back and forth method. Since most publications give their patterns in "back and forth" verbage, you will understand how to "fix" the patterns and knit them circularly. She shares how to translate back and forth charts into circular knitting too. Each project in these chapters is written for a certain yarn BUT THEN Margaret instructs you how to change the pattern to fit your yarn and your body. This is pure magic. 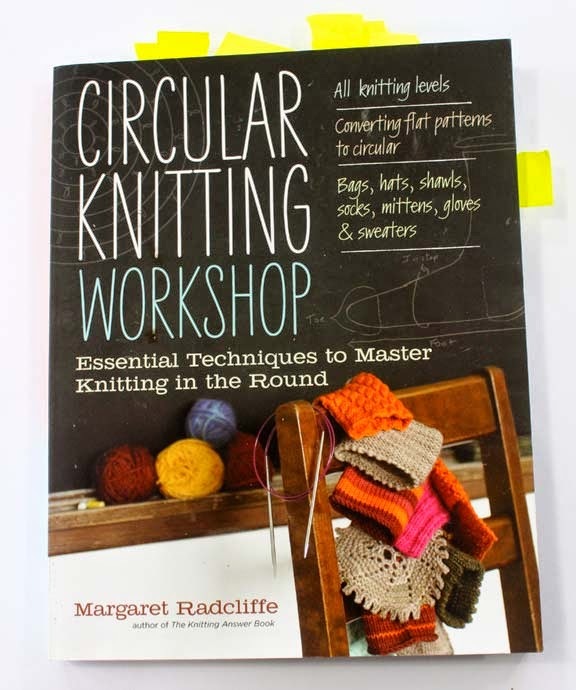 If you are wanting to "design your own" knitwear and become a "knitwear designer" which it seems everyone wants to be these days, Circular Knitting Workshop should be in your library. Do you have yarn for which you can't find a pattern? 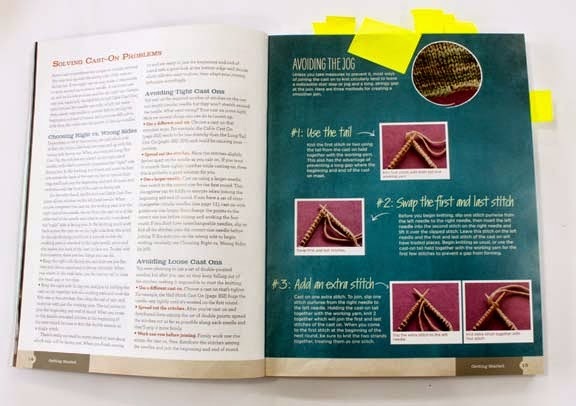 Use this book to help you knit a project anyway. 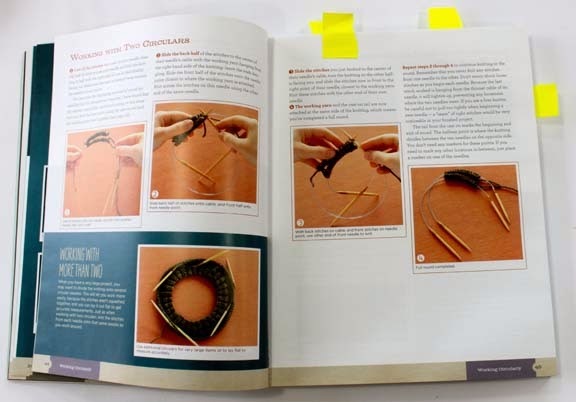 If you are a newbie to circular knitting, this is the book you need to begin your journey. 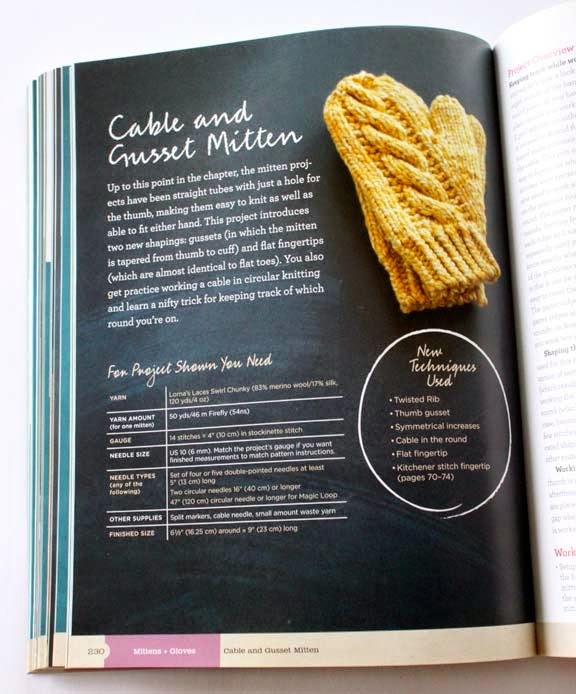 If you are an experienced knitter, you still need this book - it will teach you many tricks to better your knitting. 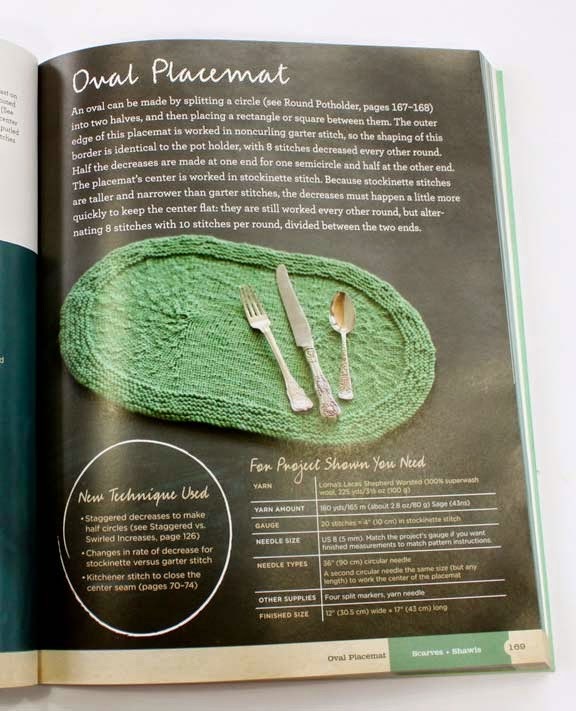 It is not particularly a "fashion knitting book" although the layout looks current. There are no photos on people - everything is shot flat and simple which is perfect for this type of book. 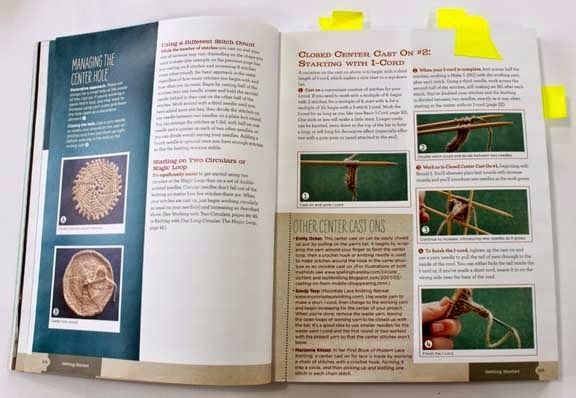 Circular Knitting Workshop is one which you will probably keep in your knitting library for your lifetime. If you don't win, you might want to put CKW on your Christmas wish list! Circular or flat knitting? Why? Contest ends Saturday December 13th at 11:59 p.m. Contest is over - the winner Jeannette O has been notified and I am waiting for her address. Thanks everyone for entering! Unfortunately, the book giveaways are only open to US Residents. The reason for this is I ask publishers to donate books and ship the giveaway copies to the winner. Shipping for books to Canada and overseas is extremely expensive because of the weight of the book and the postage charges. In fact, it usually costs more to ship a book than the retail cost of the book. These folks are being nice to me (and my readers) and I think it is unfair for them to incur ridiculous shipping costs. I'm sorry for this if you are an overseas reader but I'm sure you understand my reasoning. From the first time I knit in the round, I have preferred it. The main reason? When I'm done I only need to weave in some ends, and maybe a small amount of stitching up. I LOVE knitting in the round for several reasons. 1. I am tickled by the idea of knitting in a spiral. 3. I hate flipping projects over. 4.I prefer knitting to purling. No judgement to flat knitters though! My stepmom knits everything flat and seams it right up. Circular whenever possible because purl hurts my wrist. I would love to learn how to convert flat to circular. Circular knitting for me...because I have carpal tunnel in my right wrist and cubit tunnel in my left elbow...and because circular knitting spreads the weight out and lessens the strain. I prefer circular as I just don't like seams. I think I will work on a flat sweater just so I can get some practice on seaming in 2015. I like circular you do not have to make a seam! I wanted to learn to knit to knit socks, and started them on circulars. I haven't knitted anything but socks and would love to branch out. Seems like a wonderful book. Thanks for your giveaway! Oh, definitely in the round! =Less finishing, more needles, more fun! What can I say? My 100 hat project got me totally addicted to circular knitting! I like circular knitting because it seems to go faster and sits in my lap without constant turning. I would love to add such a great book to my library. Circular, because the right side always faces me and it seems faster to me. Circular - it's just more appealing to me to go around than back and forth. Looks like a wonderful and helpful book! I prefer the momentum of circular knitting. What an amazing book. Thanks for the chance to win. I have been a circular knitter forever - mom taught me to knit on circulars more years ago than I care to admit. 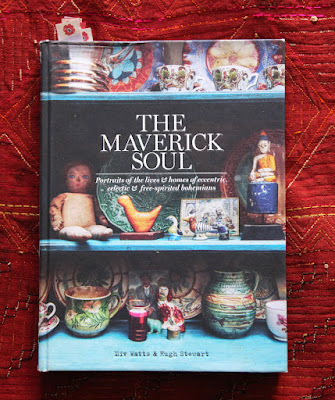 I would love to win this book - don't have any Margaret Radcliffe yet but I think I might need several of her books. I love my circular knitting needles because at the end of a row one needle doesn't clank to the floor! I usually prefer circular for a few reasons: One is speed. I'm a slow kitter, so the fewer purls I have in my work the quicker projects fly off the needles. I personally prefer circular needles to straights because they are easier to pack for travel and they are lighter in my hands. I also like circular needles because I can use them in the round and straight instead of having so many duplicate needles in my drawers. However, there is one down side! I find it really hard to find a good "stopping point" when I'm knitting in the round. With flat knitting, I'll put the needles down at the end of a row no problem, but when I get to the end of a round? Well then I have this stitch marker floating around in no-man's-land, but then I don't want to start a new round of pattern only to pick it up in the middle later on either! Of course, some might argue that the addictive nature of knitting around and around and around is actually a good thing when you need to finish something up! 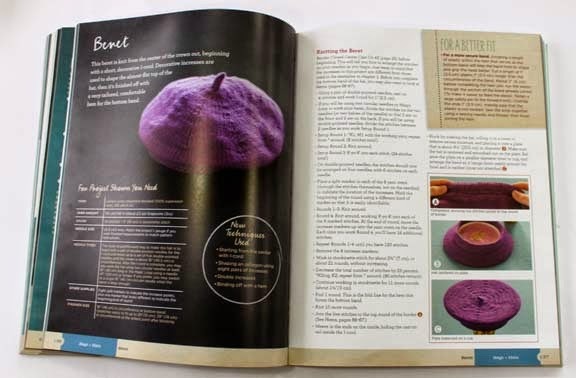 I'd be thrilled to have a copy of the Circular Knitting Workshop though! I've never felt confident enough to convert flat patterns to circulars, but I'd love to learn how! It depends on the project. I enjoy both flat and knitting in the round. I prefer to use circular needles for flat knitting rather than straights though - lighter needles and your knitting stores easier. My preferred method is dependent on what I am knitting. I prefer to knit a sweater in pieces, seaming gives the sweater stability. Socks I have done on both DPNs and circular, personally I like DPNS. Hats and cowls on circulars and gloves, mittens, fingerless mitts on DPNs. I always try to knit circularly. Thanks for the chance to win this great book. So would love to learn more about circular knitting. I have been knitting 2 socks toe up on circular needles with a group at a library. I love the feel of wool, the rhythm of knitting and often the pleasure of knitting with wool from my sheep. And knitting is a time I spend with other women (men once in a while) and the learning and laughter around the table carry me through the week. Would you believe that I have been knitting for 46 years and have never knitted in the round? I am ready to learn! I enjoy knitting dolls and teddy bears. I believe knitting them in the round may be quicker and more finished looking. I do hope to win this book. I was a 'circular-sceptic' until last winter - thinking that I'd surely miss having my long, straight right needle bolted to my underarm for stability....but my fingers proved me wrong, and over this past year I've managed to knit several sweaters in the round, hands in the lap, and straight needles on the shelf! Sceptic no longer, 'successful w/circular's' now! Thanks for offering this book! Why would anyone want to learn to knit in the round? For me, I only figured out scarves and really bad seaming before I learned about knitting in the round. Then a whole world of knit projects opened up and I was happy to put my flat patterns aside and try to learn to knit something I wanted to wear or gift. Still learning - this book would be awesome to help with that! I prefer circular needles because they are easier to use for me. No sewing on certain projects. What an awesome offer, I was just looking at this book the other day. I prefer circular knitting because of the design features, less seaming and more knitting versus purl. Thanks you for the opportunity to win! Sara P.
I prefer circular knitting and using double points or circular needles as appropriate. The world is round, not flat. People are round, not flat. Bonus is not having to seam. Double bonus is it honors my knitting heroine who made it so popular and easy, Elizabeth Zimmermann. Yes, you CAN knit without tears. I like knitting more than purling and I am terrible at getting around to finishing so the less sewing after knitting the better. The book looks wonderful! I use circular whenever possible mostly because my cats love to pull my knitting off of the needles and they can't do it with the circular needles. Although I began knitting flat, I am a circular convert and I haven't looked back! Circular needles are more comfortable in my hands and I like to keep seaming to a minimum. Thanks! I like both circular and flat, but find that I'm more often using circular. Occasionally I'm determined to use my single points and then find myself switching to circulars because they travel better (easier to was up into a project bag). ;) Thanks, as always, Kristin! I knit mostly in the round because basically I'm an addicted sock knitter! I think both techniques have their merits. I've tried knitting a sock flat and then seaming it . That was fun but I think I prefer the in the round technique there. I do find I like circles, the organic-ness of them.I also like to crochet circles but I am now getting off topic ;). I find that I am slower at purling and so I gravitate towards knitting in the round. This sounds like an awesome book! Circular is definitely my choice - fewer seams at the end. I have friends though, who prefer flat and won't knit anything on circulars. Both - I prefer flat pieces if I'm doing a commuter project (less bulk to carry), and I like the structure and stability seams give to a sweater, especially the shoulder/neck area. I'm a life-long sewer, so seaming goes fast and doesn't bother me. Round, of course, if I'm doing Fair Isle or a yoke pattern. The book looks like a must-have for anyone. Flat or circular, it depends on the project. I am working on one of your sweaters from Vogue knitting written flat but am "trying" to knit it in the round. I haven't mastered turning flat knitting instructions with patterns throughout into round knitting. It's been challenging. I loved the pattern when it was published several years ago and finally got around to beginning the project. What a beautiful book! I prefer circular knitting over flat. I never could get the hang of DPN's though,so I use the Magic Loop method. I also knit 2 at a time on anything that comes in pairs (sleeves, mitts, socks, etc. ), otherwise, I'd have a bunch of single items that would NEVER have a mate! Circular, definitely. You can make the best socks!! I love knitting in the round and am so tired at the end of a large project that the last thing I want to do is seaming, seaming, seaming, weaving, weaving, weaving! Would love this book, so much to learn. Thanks Kristin for the opportunity. I've been a circular knitter for years. I've found my tension is more even when I knit that way. I love circular knitting, my tension is so much better when just knitting or just purling. I would love to learn more techniques and become a better all around knitter! Since I haven't done but maybe circular knitting items, I really can't answer that. I do know that trying to seam up a flat knit can be difficult at times. I would love to be able to attempt more circular knitting! I want to say that I have a pair of circular needles, and perhaps I'm just not doing the right thing or the string between the two needles is too long, but they've been cumbersome and stuck in the bottom of my knitting needed box for a year or two. I'm crossing my fingers... I'd like to use the book to learn how to use them! (And my email should be attached to this entry. If not, mumcave/gee-mail. Thanks! Both. It depends on the pattern. I am not a good enough knitter to change a pattern from flat to circular, or vice versa. So whatever the pattern says to do, that's what I do. Flat knitting seems a little easier to me, but I'm not very good at seaming. Both. I make a lot of shawls in the 3/4 circle shape which is flat. But I also have a lot of shawls I want to make that are full circles. And of course socks, hats and mittens are circular. It really depends on the project. I do have to say that I really appreciate not having to purl in circular projects. I don't mind either way of knitting, but usually do prefer knitting in the round due to the ease of it and little, to none, seaming at the end. This book looks great and I would love to own it. Flat, for the simple reason that I've never tried circular. I knit circular the majority of the time and even when I knit flat I use circular needles. They just feel more comfortable in my hands than straights. The book looks great and I will put it on my wish list. Elizabeth D in the comments above has expressed my sentiments exactly. I like knitting both ways. Sometimes the structure of a seam is better than not having one, so flat is the better way to go. When it isn't needed, in the round definitely has advantages. I've been wanting that book for a while now. Please put my name in the hat. I love knitting in the round and am a very keen sock knitter. I look forward to reading this book so I can try other, more ambitious projects! Another fabulous giveaway!! My Knitting Answer Book by Margaret Radcliffe is quite tattered and now I obviously need to add another one of her books to my library. I knit in the round whenever possible because it SEEMS I have an aversion to SEAMS. Thanks, Kristin, for your (and your publisher's) generosity! Hi Kristin: Love your blog, your family and your generous sharing. Flat knitting requires a seam which I have always found bulky. Double points leave a ladder no matter what I do. I love circular needles for above reasons and I am faster with this technique. Love you, Have a blessed Holiday. I"m a circular knitter even if I use my circular needle to knit back and forth. It's also easier to not drop stitches. I just left the comment, "flat...because I do not yet know how to knit in the round, but I want to learn pretty soon", but I forgot to type my name and email! I'm a self-taught knitter and Iconverted to knitting in the round about 10 years ago. Now I just pass over a "flat" pattern. 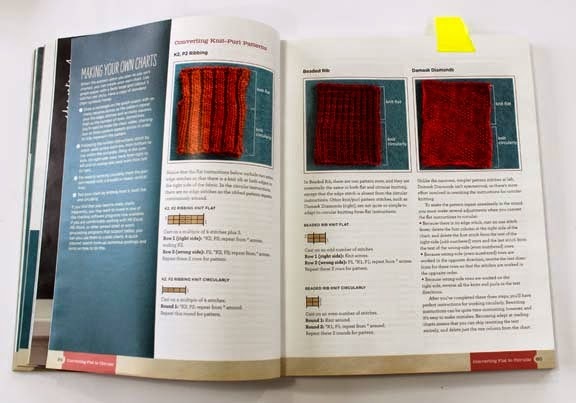 However, I see one of her sections is on how to change a flat pattern to a "round" pattern and I would love to know how to do this - along with other techniques. I used to be strictly a flat knitter but it wasn't very portable. I didn't think I would ever be able to circular with only my hands and not a long needle stuck under my arm. But I tried it and LOVE it. And I take my knitting everywhere. Circular because it fits the rhythm of knitting - around and around, no seams. I love the magic of making something in one piece. Circular does seem faster and I love the seamlessness. I've had "Circular Knitting Workshop" out of the library and it is fantastic! Circular for sure. Eliminates a lot of seaming and purling, both of which I'm happy to do when the effort is justified, but which I'm also happy to avoid when it's not. Thanks for the review. it makes me definitely want a copy of the book. I love circular knitting best. I don't have to worry about making sure the fronts and the backs are going to match up if it is all knit together. And with less seaming there is faster satisfaction of wearing the finished product. And fewer ends to weave in, too. And even when I have to knit flat I always use circular needles. I like circular for many reasons: don't like seaming knits, can't lose one of your needles,on large projects don't get as heavy,lack of purling,no straights going up my sleeve. Seems like there are more which I will most likely think of later. Circular - love it since i read my first EZ. i always look at patterns and convert them to the round in my head. thanks to the publisher for their generosity! Circular knitting since i read my first EZ book! always look at sweaters and immediately start conjuring up how to turn into circular. esp aran and fair isle! the book looks gorgeous and useful and would be a great addition to my library. thanks to the publisher! and to you! What a lovely and interesting book! I prefer circular knitting over flat. I find my purls are a different gauge then my knit when knitting flat. This leave my project with a "rowing" of uneven stitches. I am also a faster circular knitter. As I read through the first comments, I realized that what I think of as circular knitting is wrong. I thought it was knitting on circular needles. okay-laugh away. I'm a newbie with obviously much to learn. I prefer circular knitting for most projects. I love working with dpns as having them woven through my fingers just feels good. And I like not needing to purl. But, I do have trouble figuring out how to change a pattern from flat knitting to circular and I've had my eye on this book. Thanks for the review! I am not new to knitting, but I have not, knit in the round very much. I would love to learn more, on how to. Thank you so much for the opportunity to win a book. Where I could learn more. When it comes to yarn. I can never learn to much. Circular! Much less seaming and weaving in of ends! I like circular and flat knitting equally, but I do prefer doing both with circular needles. They are more comfortable to use, especially in public places (like crowded airplane seats). For sweaters, I do like having seams on the sides to increase the sturdy feel of the sweater, so for cardigans or pullovers, I'd go with flat knitting. I love knitting in circular because it means less seaming in the long run. Any time I can avoid that is a good day! As much as I now love knitting in the round because of colorwork (Mary Jane taught me two-color knitting in November *boast boast*), and have always loved a good sock on DPNs, sometimes there is just nothing like plowing through a row of purl stitches! I actually like purling and don't like reverse stockinette, so the answer has to be both. 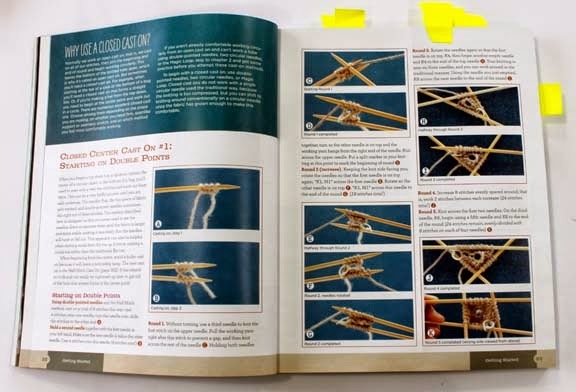 I would really like to own the book, Circular Knitting Workshop, because I am just getting into circular knitting. I have so much to learn. I'd love to know which needles (circular) are best to buy. 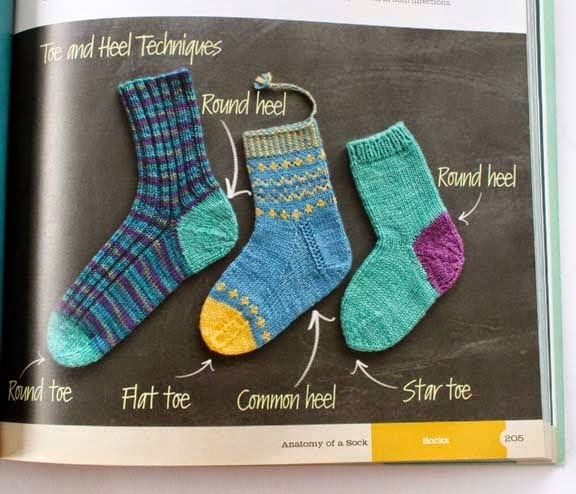 Can I knit socks on circulars? I prefer circulars because my stitches seem to stay on better when I take my projects with me. I can knit flat or round on one set of needles. This book looks great. Straight or Round? I am in the "depends on the project" classification. Some lend themselves to straights and others to circulars. This definitely looks like a book I would like in my library! I love knitting in the round, and even like knitting on 4 or 5 needles. One reason is that I like to knit and watch TV at the same time, and knitting in the round reduces, often, the need to divide my attention at the end of each row. I'd love to have this book for more technique and ideas! I love knitting in the round. Or double points. Because this is how I was taught. OMG! I have wanted this book since it came out! Being on disability, it is a luxury that I cannot afford. I have been earning points and entering contests to try to save up for it. I would be ecstatic to win it!! I like knitting flat and around,I also switch between picking and throwing to keep my hands and wrists happy. This looks like a great book. I enjoy circular knitting more than flat knitting, although either are preferable to no knitting! With the magic loop method, I can knit any size circular project on a 40 inch needle. It makes things easy! Plus like so many other knitters, I prefer to knit, rather than purl. For me, circular is best. Love to knit far more than purl. Also, I avoid seaming. Thanks for the chance to win. My first experience with circular knitting was making a hat, been hooked ever since. I enjoy making hats, cowls, and will be making my first pair of socks soon. Also, I like making sweaters and would like to learn how to convert a pattern from flat to circular. I use my circular needles for most of my projects, great for holding a large number of stitches for blankets, etc. I'm more of a flat knitter because I have done more projects that way and because I knit year-round and in the summer all that wool sitting on my lap is too hot! But I would like to learn circular knitting because I always dread sewing the pieces together. I only use circular needles! A hat with a seam is not as nice as a smooth knit in the round one. Thanks for the chance to win this amazing book. Whichever allows me to get the best results for the pattern. Circular, circular, circular! I have often converted flat knit pattenrs to in the round. I prefer as little finishing as possible! I try to use circular knitting whenever I can to avoid seaming up, but each technique is useful for specific things, isn't it? Thank you for your generosity, Kristin. I love knitting in the round with circular needles; magic loop is the bomb. This book looks very interesting. I like both.. Sometimes in the round, for projects that are sotckinette. I'd love to be able to convert patterns, I think lace projects in the round would be hard! Circular all the way! I actually think seams, though sometimes needed, adversely affect the natural stretch and give that knits have. For example, I believe garment shoulders need a seam's support, but that the sides should be knitted circularly. I used to watch other people knit on straight needles and marvel at the lovely stitches and the beautiful fabric growing on their needles. Although I love top down sweaters, there is nothing like gently knitting on two needles in front of a winter fire. Circular knitting means no pesky sewing of seams just beautiful stitches.. I'll always go for circular knitting- I think it gives a more finished result.